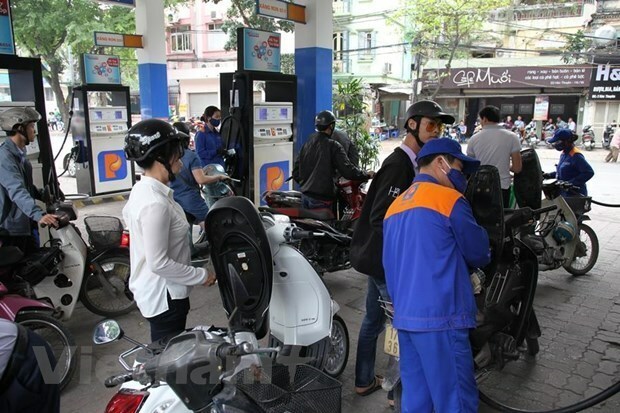 Hanoi (VNA) – The Ministry of Industry and Trade and Ministry of Finance on March 18 announced that petrol prices will be kept unchanged compared to the latest regular adjustment. Specifically, the price of bio-fuel E5 RON 92 will not be higher than 17,211 VND per litre, while that of RON95-III will be 18,549 VND per litre at the maximum. The ceiling price of diesel 0.05S will be 15,868 VND per litre, while the price of kerosene will be not higher than 14,885 VND per litre, and that of mazut will be 14,083 VND per litre at the highest. After strong rise of nearly 1,000 VND per litre in the previous adjustment, petrol prices have been stabilised again. Since the beginning of this year, three such adjustments have been made, contributing to stabilising the prices of commodities. According to the ministries, within 15 days before March 18, the world prices of RON92 and RON95 rose 4,523 USD and 4,280 USD per barrel, respectively. Meanwhile, ethanol E100’s price is 15,442 VND per litre from March 18.